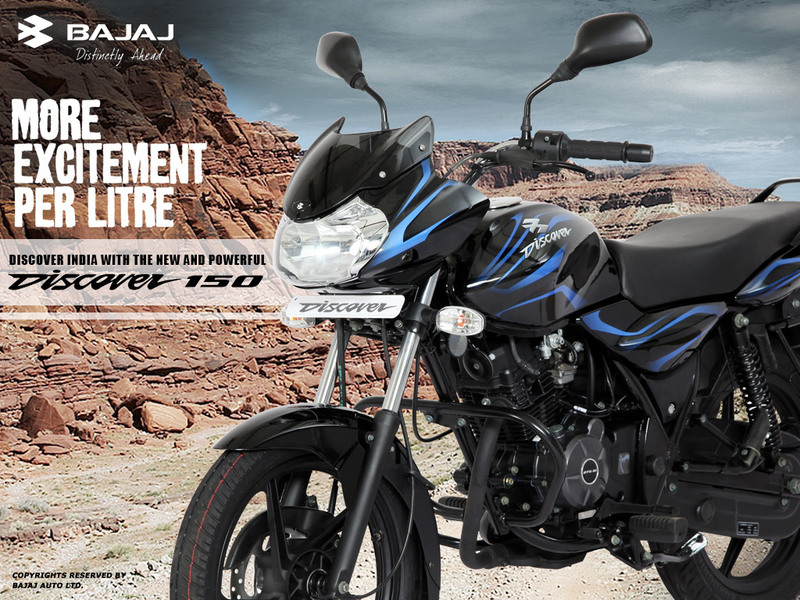 Bajaj Auto Ltd. yesterday launched a new variant of the Bajaj Discover series - the Bajaj Discover 150. Well the news was out yesterday only, I was waiting for the Bajaj Official Site to come up with the details. So, from the above comparison it's clear that the Bajaj Discover 150 (rather 145cc) is definitely not a performance machine. It's more a commuter with a bit more tang!! Much like the Achiever for the Hero Honda. But at the same time, there is one aspect of the bike, which can easily leave the Pulsar 150 surprised!! At an astounding 22Kg lower weight than the Pulsar 150, the Discover 150 can easily zip past the Pulsar 150 at will and also, that the max torque 12.75 Nm coming @ 5500 rpms means that the Torque band is much much more usable in city riding conditions, which clearly marks it more apt for city riding. Also, the absence of any kind of contemporary styling on the bike also makes the message clear that it's more for the Non-Enthusiast Commuter class. One thing in the bike which I think shouldn't have been included is the(what should I call it??) - Disk Brake Fender!! I mean who said the Bajaj designers that this is gonna look cool on the bike!! Really funny for sure :)... really what the Bajaj guys were thinking!! actually such mud protectors do appear on off road bike.. maybe that was the idea. tanong ko lang po...kung kelan maglalabas sa pilipinas ng kawasaki discover 150 o pulsar 150 bajaj?bakit po ang tagal?